The topmost level of qualification for space components was awarded to Microsemi Corporation, a wholly owned subsidiary of Microchip Technology Inc. (Nasdaq: MCHP). Microsemi announced its RTG4™ high-speed signal processing radiation-tolerant field programmable gate arrays (FPGAs) have achieved Qualified Manufacturers List (QML) Class V qualification by the Defense Logistics Agency (DLA). 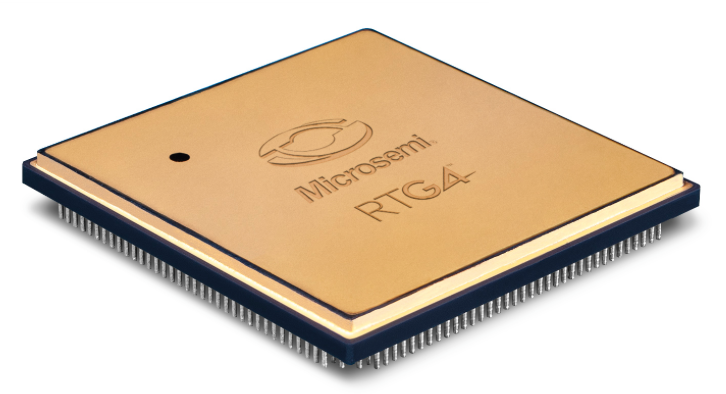 The designation, that is the highest level of qualification for space components is a necessary step to satisfy mission assurance requirements on many space programs, opens the door for Microsemi’s RTG4 FPGAs to be used on the most critical space missions with the highest standards for quality and reliability. As the first and only radiation-tolerant FPGA offering more than 150,000 logic elements to achieve a QML Class V qualification, Microsemi’s RTG4 FPGAs can now be used by developers in Class 1 space flight systems, bringing the cost and schedule advantages of FPGAs to the most demanding space missions. 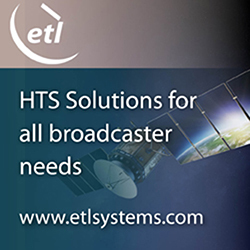 Many space programs are constrained to use these Class V-qualified components due to the need for the highest level of quality and reliability, and until now have been unable to use a high-speed radiation-tolerant FPGA in their signal processing systems. RTG4 FPGAs now fill this void in the marketplace, providing more signal processing bandwidth than has been previously available in radiation-tolerant non-volatile FPGAs and enabling designers of satellite on-board data processing systems to take advantage of the easy prototyping and fast design cycle times FPGAs provide. Minh Nguyen, Microsemi’s senior marketing manager of space and aviation stated that they believe it’s critical to support their customers with the availability of their flagship radiation-tolerant FPGAs qualified to the stringent QML Class V standard—the highest qualification level for integrated circuits operating in space. This designation is the culmination of hundreds of thousands of testing hours, and underscores the high reliability of these unique devices as well as Microsemi’s team’s deep experience in developing radiation-tolerant FPGGAs with industry-leading flight heritage. Microsemi’s new QML Class V qualification adds to the existing designations the RTG4 FPGAs have achieved, including QML Class Q and MIL-STD-883 Class B qualifications. Details can be found in the company’s reliability report, as well as its DLA Cross Reference Guide. As the company is already a QML-V certified manufacturer of high reliability FPGAs for space applications, achieving the recent additional qualification for its RTG4 FPGAs further strengthens its leadership position in the market and reflects the company’s focus on developing innovative solutions to meet the increasing demands of modern satellite payloads. In addition to satellites, its RTG4 FPGAs are ideally suited for applications including space launch vehicles, planetary orbiters and landers, and deep space probes. Leveraging Microsemi’s 60-year legacy of innovation in the space market, its RTG4 devices are the latest development in a long history of radiation-tolerant FPGAs found in many NASA and international space programs. For more information, visit .